• I fell for a building is an embodiment of artist's journey of displacement and its uncertainty every step of the way. 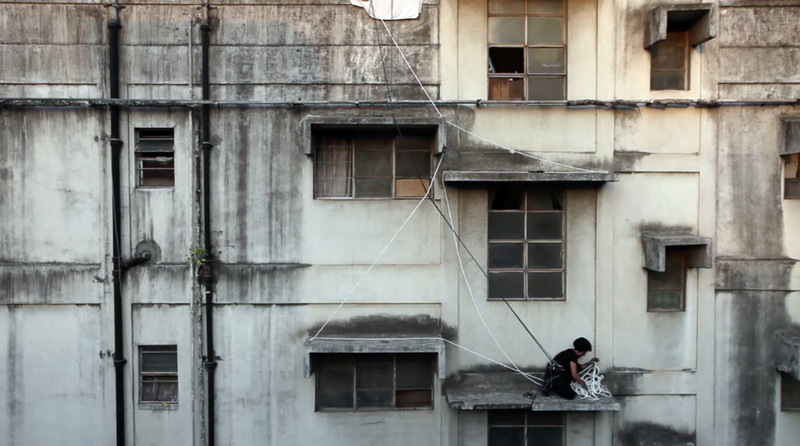 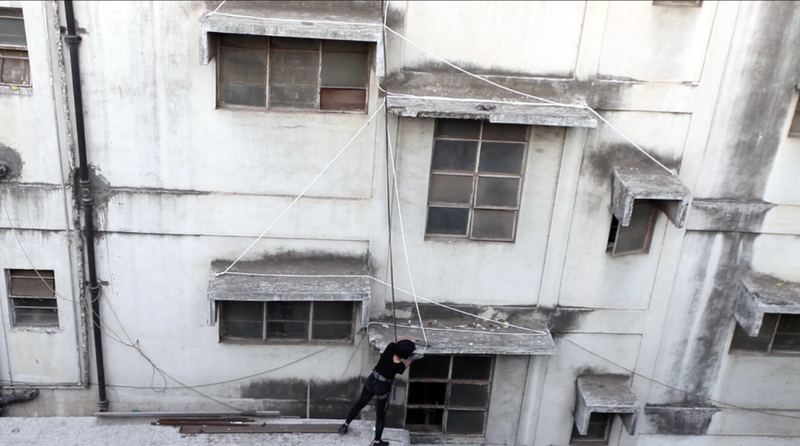 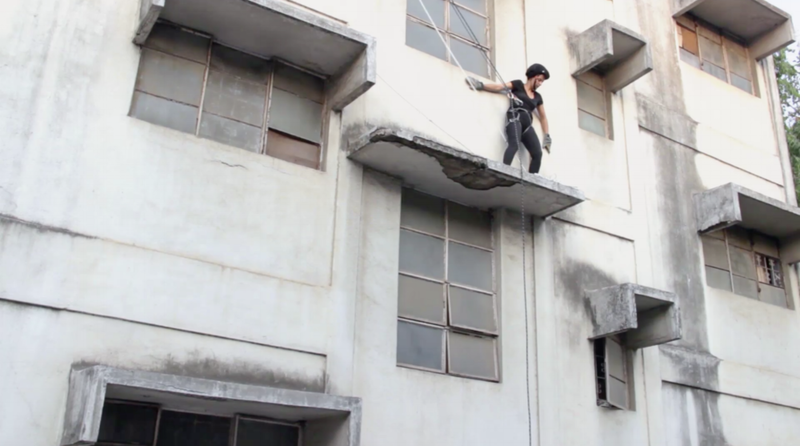 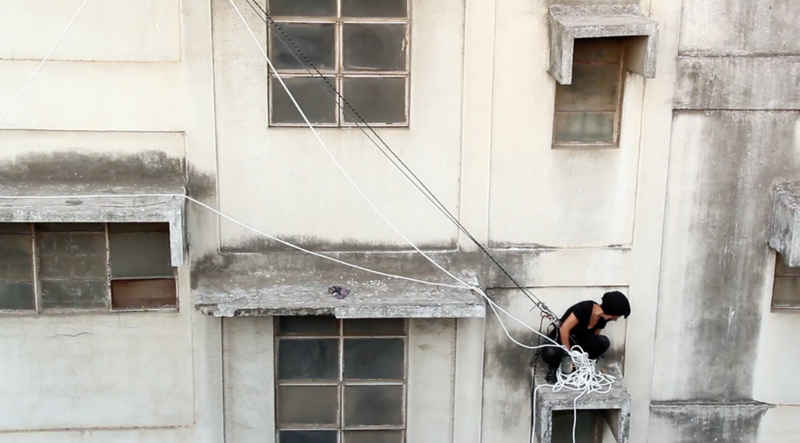 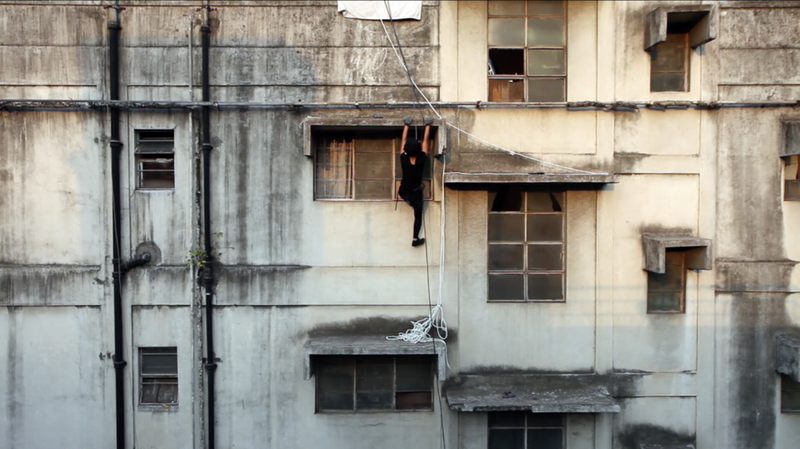 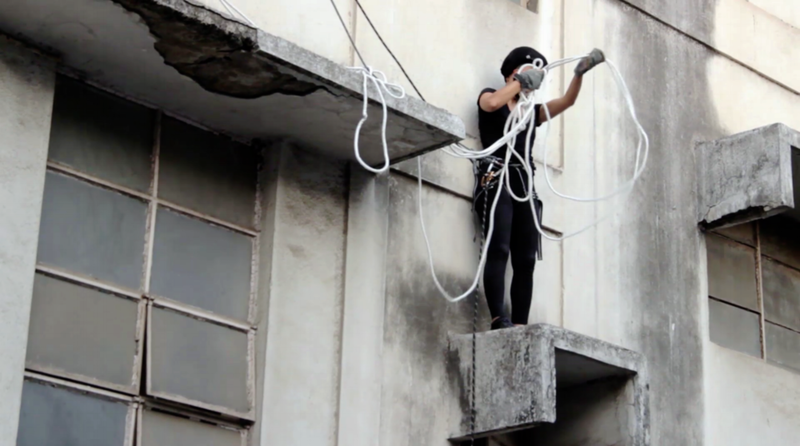 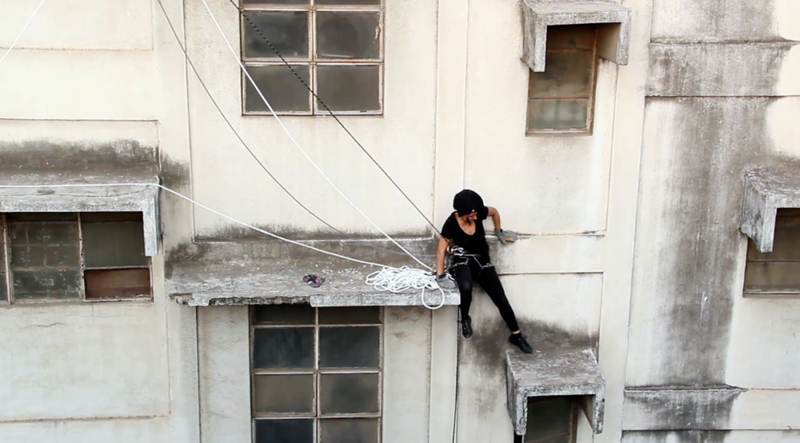 During the performance the surface of an un/stable century old building is scaled, while the artist is connected to the structure with a harness and a black rope. 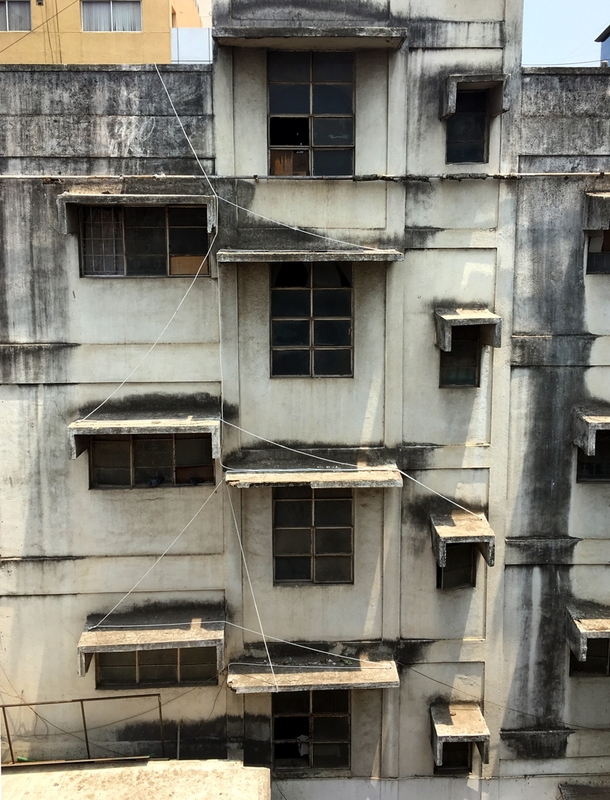 By walking on the margin of this crumbling old facade, a line drawing is made on the face of the building using white rope as the material. 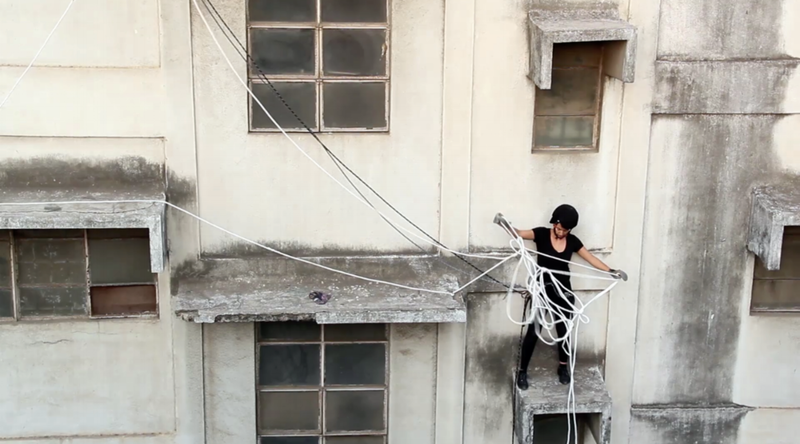 Throughout this process, the artist unwinds the tangled rope, maintains a balance to prevent herself from falling, maps every step of her way and navigates a familiar yet unfamiliar space.